The Bee Cave Sculpture Park weaves throughout a 7-acre natural setting showcasing a combination of permanent and rotating sculptures. In addition to the fantastic art you will find a spring-fed pond, some of the largest oak trees in the City and over 20 different native species of plants. If you look closely you will also run into quite a bit of wildlife. Whether you want to come and take in the art or simply enjoy the natural setting and have lunch, the Bee Cave Sculpture Park is a gem that is not to be missed! Be sure to download the Park Brochure before your visit. 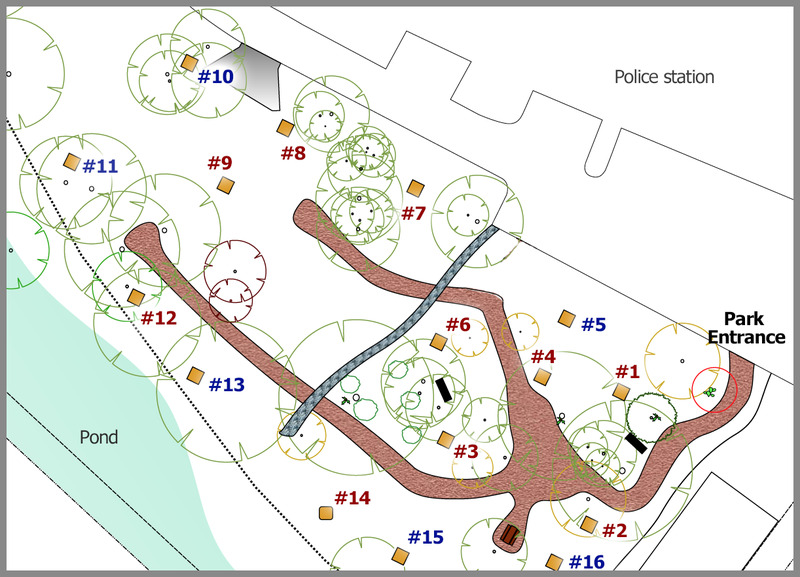 The map highlights the 24 sculpture installations at the park. Not pictured on the map is a special installation titled A Peaceful Place. Here are the pieces you will find at each stop. If you are looking for directions, just head over to the Contact Us page for more details. 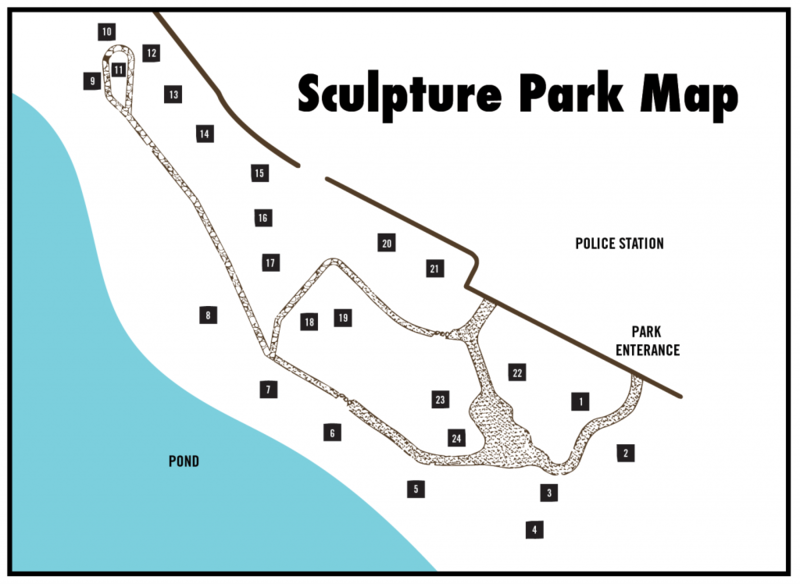 We are always accepting applications from artists to have their sculptures displayed at the park. If you are interested and want to learn more we encourage you to download the application. In addition to artist submissions we are looking for donors who are interested in sponsoring permanent pieces that will always be a part of this new park. Contact us at info@beecavearts.org if you are interested.